Dr. Ben-Yakar specializes on advanced applications of femtosecond lasers in life sciences, nonlinear microscopy, plasmonic nanoengineering, and nanotechnology. She investigates the fundamentals of femtosecond laser interaction with biological tissues and nanomaterials to develop novel techniques such as laser nanosurgery and 3-D micro-/nano-fabrication techniques. Dr. Ben-Yakar is a faculty member of the Thermal/Fluid Systems program of the Walker Department of Mechanical Engineering. She has served on the College of Engineering faculty since 2004. 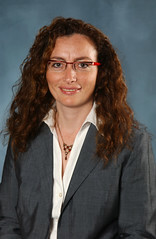 She is a regular member of the Graduate Studies Committee of the Biomedical Engineering Department. She is also a fellow of the Institute for Neuroscience and Center for Nano and Molecular Science and Technology at the Texas Materials Institute and Microelectronics Research Center at the University of Texas at Austin. Dr. Ben-Yakar received two research grants from National Science Foundation (NSF) in 2004 and 2005 and a recent grant from the Advanced Research Program of Texas Higher Education Coordinating Board for her work on Femtosecond Laser Nano-Surgery and Two Photon Imaging. 2013: Received a grant from the Cancer Prevention and Research Institute of Texas (CPRIT). There were only four grants awarded to the faculty of UT Austin. 2013: One of her group papers entitled "maximum imaging depth of two-photon autofluorescence microscopy in epithelial tissues" was mentioned by the Editor-in-Chief as one of the most-cited articles published in Journal of Biomedical Optics (JBO) in 2011. 2012: Received Human Frontier Science Program Award for studying the dynamic mechanisms regulating embryonic stem cell fate choice. Dr.Ben-Yakar's team was selected as #3 among 800 applicants. 2011: Received prestigious NIH Director's Transformative Research Award. The $3 million dollar grant will provide support for developing the next generation microfluidic platforms for high-throughput drug screening for Alzheimer's disease using model organism, C. elegans. 2011: Received endowed faculty fellowship—Mr. N. Doug Williams Memorial Centennial Fellowship in Engineering. 2011: Received Faculty Research Assignment. 2010: Received a 2009 CAREER Award from the National Science Foundation.